Relocating to any new area can be overwhelming. Even after dealing with packing, moving, and unpacking you’re left in a completely new and unknown place. Stay with CHC has created the ultimate starter guide for those relocating to Reno, the biggest little city in Northern Nevada. Whether your destination is corporate housing or your own home, this guide will get you started on everything about living in Reno. From an outsider’s perspective, it’s understandable how Reno looks like a smaller, more condensed version of Las Vegas. But the similarities are only surface level. Unlike Las Vegas, Reno is separating itself with a ton of growth thanks to the recent tech boom. Large startups now sit comfortably next to small local businesses. As more people are relocating to Reno, they bring festivals and events continue popping up, each more unique than the last. 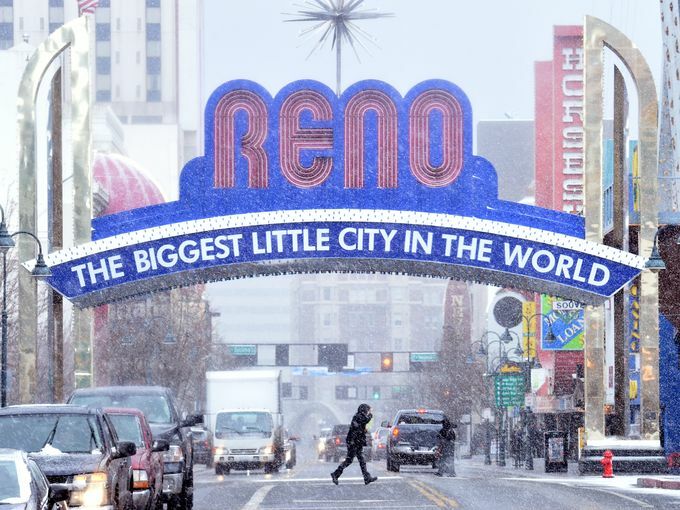 The average salary in Reno is $48,815 and the cost of living 7%,with the former being higher and the latter lower than their respective national averages. Reno lends itself to the unpredictability of the desert climate. A typical summer day in Reno can start hot and perfectly clear, but can quickly turn to thundershowers without a moment’s notice. And, just like the warmer months, winter and autumn in Reno can be wildly unpredictable. Don’t be surprised to find yourself stuck in a flash snowstorm that crept over the Sierras. The average high’s in Reno are around 92 degrees during the months of June, July, and August. On the flip side, the average lows reach a chilly 21 degrees around December and January. Bring your beanies! When moving to Reno, or any other place, it may take you a while to understand the culture and feel connected with your new home. Here’s a quick rundown of the different “sections” of Reno. Furthermore, for each section we’ve also included a handful of favorite spots to hit. Even if you’ve only seen a bit of Reno in pictures or videos, the bit you’ve probably seen is of Downtown Reno. This is the place in Reno where most of the excitement happens! Bars, casinos, fine dining, theatre, and entertainment all centered around the Truckee River. Even Reno’s own baseball team, the Reno Aces, have their stadium located downtown. When you’re downtown you won’t be hard-pressed to find something to do. Circus Circus: A great place to go with or without kids. Circus Circus has a whole section of carnival games, shows, and prizes. If you’re feeling lucky, take a chance at the adjoining El Dorado with their hundreds of slots and gambling machines. Don’t forget to check in frequently to see which famous band or comedian is performing. Java Jungle: There are many great bars and coffee shops in Reno. But Java Jungle is one of the few that is both. Half café, half barroom, Java Jungle has excellently mixed cocktails, beer, food, and wine. While you’re at it, hop across the street to Noble Pie for a slice of some late night pizza. Wingfield Park: The place for outdoor activity. Wingfield park has been described as the oasis of Reno. Nestled along the Truckee River, you’ll find basketball and tennis courts, bike paths, picnic tables, and an amphitheater for summer concerts and events. When the weather is fine you’ll find the citizens of Reno cruising down the Truckee River. Just south of Downtown, Midtown has been developing into a diverse mix of unique stores and small business. On a typical walk through Midtown you’ll come across beautiful murals and old Victorian homes converted to small businesses. Midtown is also home to many local craft beer breweries offering one-of-a-kind beverages that you can’t find anywhere else. Stop by any of Reno’s local bars to sample! Junkee Clothing Exchange: If you’re looking for antiques, furniture, or clothes to make a dazzling costume for Burning Man, Junkee is the place to go. Take a trip through over 15,000 sq. ft. of unconventional clothing, prints of vintage art, nostalgic decor, and one-of-a-kind accessories. Midtown Murals: Midtown is known for its extensive array of beautiful murals. Take a walk through Midtown and discover more than 70 hidden murals along the walls of South Virginia Street and the backstreets in between. Happy hunting! *For a helpful map of all the murals’ locations, click here! Natural Selection: If you are looking for the definition of a curiosity shop, then head to Natural Selection. Tucked along a side street in Midtown, this quaint shop is filled with a plethora of taxidermy, bones, and exotic plants. You’ll find every nook brimming with ethically sourced specimens, fossils, and other oddities. If you head north from the center of Reno you’ll start to notice the area start to resemble that of other college towns. As you head farther north you’ll notice the Reno skyline begin to take shape. In the daytime, you’ll find the scale of the snow-capped Sierra Nevada to be incredibly beautiful. Likewise, at night the buildings of Downtown Reno will light up into a stunning spectrum of neon colors. University of Nevada, Reno: Directly north of Downtown Reno is the UNR campus, home of the Wolf Pack. Lush green expanses and huge trees surround the campus and quad. Plenty of events are held at the UNR campus. From presentations on the scientific and educational studies to the huge Reno Jazz festival. Reno Rodeo: If you’re looking for a taste of country culture then the Reno Rodeo is the place to be. Cattle drive and bull riding events are weekly events at the Reno Rodeo. Rancho San Rafael Regional Park: One of the largest parks in Reno. Over 600 acres of trails, greenery, playground and picnicking. If your dog is comfortable with other off-leash dogs, then let your furry friend run around the huge dedicated dog park area. 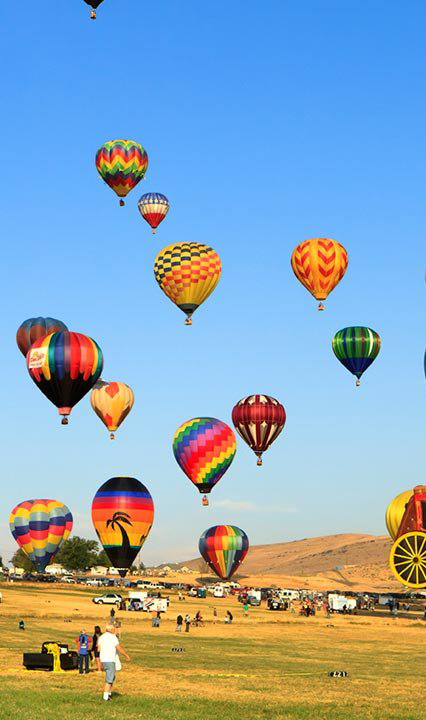 During the early days of September, the entire park becomes home to the Great Reno Balloon Races, one of the largest hot air balloon events in the United States. Not only does Reno have an incredible range of activities, but it’s also located near many other great places. 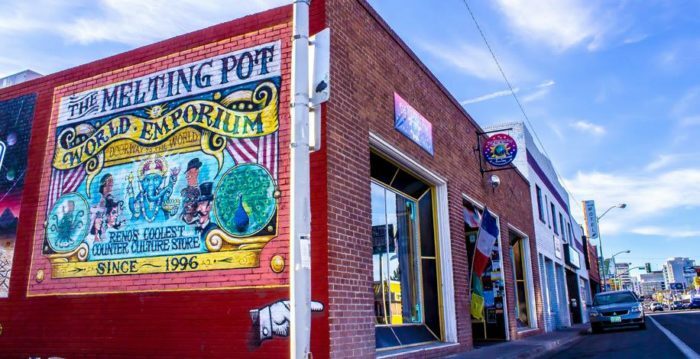 Each area that surrounds Reno has its own unique personality and fun things to do. When moving to Reno, you’ll have access to so many wonderful places to explore. Here are just a few! Often mistaken as a part of Reno, Sparks is actually about half of the area that people consider Reno. Notable locations in the Reno-Sparks area include the Nugget Casino, The Outlets at Legends, and the Marina. Spanish Springs is the suburban side of the bustling city of Reno. Just a short 25-minute drive from the north of Reno will lead you to this wonderful expanse of Ranch style real estate. In the Summer months, you’ll find plenty of people tinkering in open garages or enjoying the warm evening breeze. Trying to write a little blurb on Lake Tahoe is harder than you think. There’s so much to do! Too many Nevadans, the sapphire-blue waters of Lake Tahoe are a tropical escape only two hours away. You’ll find both locals and vacationers taking advantage of the golden beaches and warm water. Common activities include jet skiing, paddle boarding, kayaking, and even parasailing. Lake Tahoe is also known for its many hiking trails. If you’re feeling adventurous, take a hike to one of Lake Tahoe’s many hidden lakes. In the winter months, skiing and snowboarding become the big the pastime. Skiing resorts like Squaw Valley and Heavenly at Stateline will become flooded with avid snow-sport enthusiasts. You’ll also find casual-goers snowshoeing and cross-country skiing the snow-ridden trails of Tahoe. Virginia City is perfect if you want a taste of the old West. A small church nestled on a hill, old Victorian architecture, and a graveyard are just a few historical landmarks that you’ll see. For 5 reasons to Virginia City, check out our blog here. Roadwork is everywhere. One day the street you take for your daily commute might be half under construction for the next month. Prepare for extreme colds and heats. The roads can get mighty icy overnight. Make sure you have tire chains if you drive a car without 4-wheel or all-wheel drive. Likewise, the roads can get scorching hot in the summer. If you have a pooch, make sure they aren’t burning their little paws on the pavement. Bring plenty of water! Familiarize yourself with the road rules. Someone relocating to Reno from a different state (such as myself from California) may find Reno has a lot of one-way roads and roundabouts. Make sure you don’t turn down a street of head-on traffic. Stay with CHC provides Reno temporary housing and corporate housing. If you are relocating to Reno, we can accommodate your needs and find the perfect place to live.